Welcome to Oldpark Nursery School! OPEN DAY Every Monday from 2pm to 3.30pm OPEN NIGHT. Thursday 6th Dec 6pm to 8pm APPLICATIONS ARE ONLINE THIS YEAR ~ at wwww.eani.org.uk and choose pre school admissions. The portal does not open until 2nd Jan and closes 31st Jan. Parents must bring proof of address and birth certificate to their first choice pre School to be verified and copied. 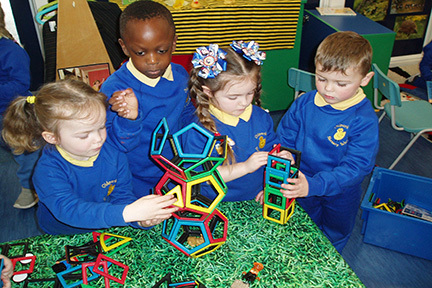 In the areas inspected, the quality of education provided by Oldpark Nursery School is very good. The nursery school is meeting very effectively the educational and pastoral needs of the children; and has demonstrated its capacity for self improvement.